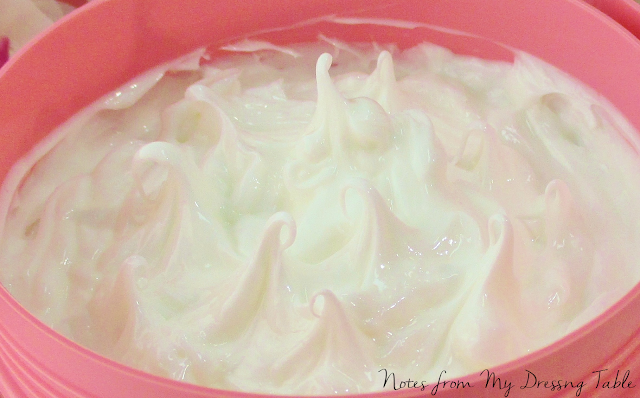 Do you love having soft, beautifully scented skin as much as I do? Don't want to spend a fortune getting it? Soap & Glory can help. I have these two big, coral pink plastic tubs of Soap & Glory body care goodness to talk about, today. With some of the cutest labeling in the beauty industry and good for my skin ingredients along with Soap & Glory's signature Pink fragrance, Soap & Glory Flake Away and The Righteous Butter are a luscious treat for my senses and my skin. 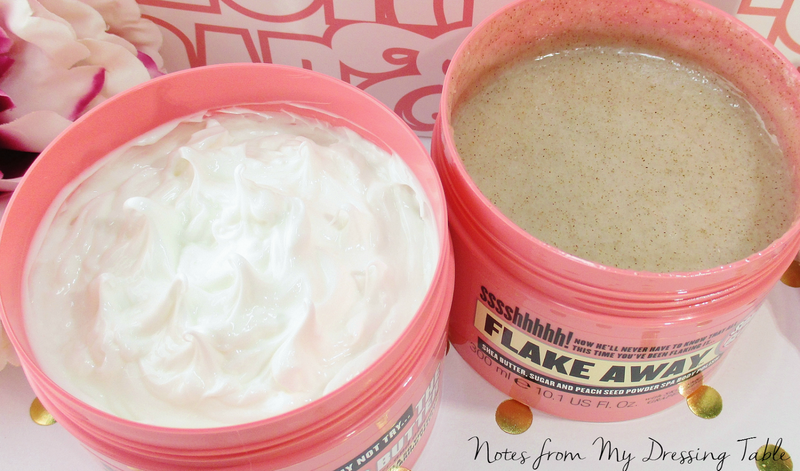 To begin my journey to Soft Skin Heaven, I grab my tub of Soap & Glory Flake Away and jump in the shower. 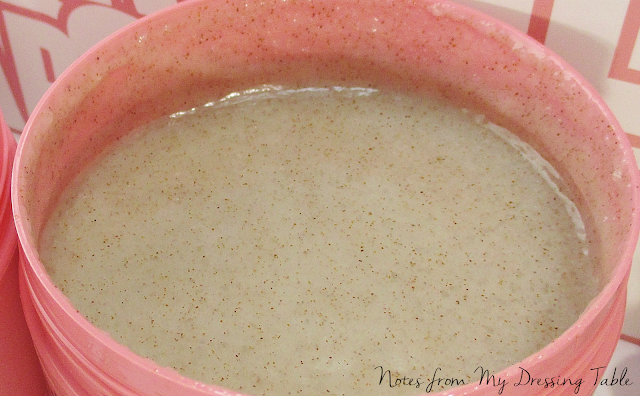 After using my fave body wash, I divert the spray away, pick up a nice dollop of the scrub and start applying it to my skin, working it in a firm, circular motion, letting the mix of natural shea butter, oils, sea salt , sugar and peach seed powder free me of rough, dead cells and scaly texture. As I work, toes to jawline, I inhale the delicious, fresh scent and let the oils and shea sit for a few moments to further treat and soften my dry, dry skin. After rinsing, I step out and gently pat dry with a fluffy towel and get ready for phase two. Now for the cream. I dip into Soap &Glory The Righteous Butter and smooth this rich, gorgeously scented butter all over and massage it in. It doesn't take a lot. 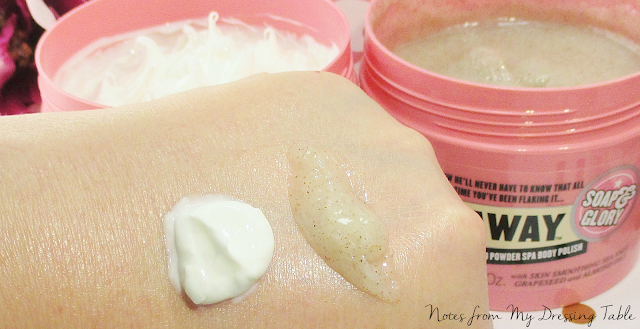 This moisturizer is thick but not thick if you get my drift, It is very silky and spreads readily across the skin, so I can cover a good deal of real estate without using up half the tub. After gently massaging in The Righteous Butter my skin instantly feels soft and comfortable. I have a light film of moisture on my skin's surface but it doesn't feel slimy or sticky. I can get dressed right away and get on with my day. As the film sinks in, my skin just feels softer and more velvety. The fragrance lingers on my skin and sets in my clothes, so I smell fresh and delicious, all day long. Swatches, just because I can. I am falling deeper and deeper in love with Soap & Glory the more I use their products. There are others I have my eyes on and can't wait to try. If you would like seriously soft skin that smells delightful and you don't want to break the bank getting it, Soap & Glory can help you out. 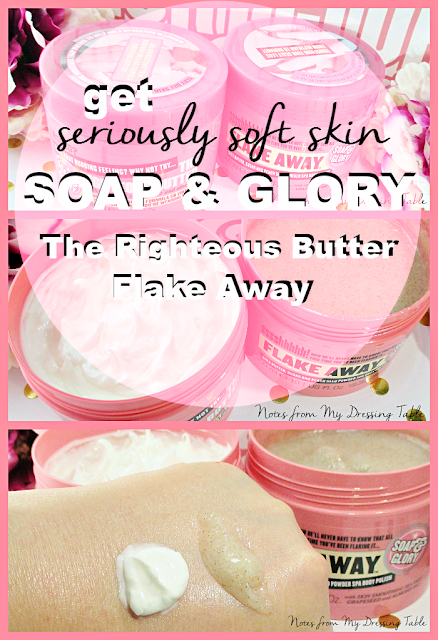 Flake Away and The Righteous Butter are only $15.00 each for big, 10 ounce tubs. That is a lot of softness for a great price. Buy Soap & Glory from their website, drugstore.com, BEAUTY.com, and SkinStore.com. Soap & Glory are furry creature friendly. Are you a Soap & Glory fan? What are your faves from this fun, beautiful and wallet friendly line?